The project was launched in 2005 and in 2009 its NOC from CDA was approved with Ref# “CDA/PLW-HS(127)/2009/257”. The MOU with IESCO and SNGPL were also duly signed. Development work on the project started in 2009. Almost 75% development work has been completed till date. If you happen to visit Gulberg, you will be appreciate the pace and quality of development work in progress whether in Greens or Residencia. IBECHS is a welfare organization working for the shelter requirement of the IB employees and it is mandatory for the management committee members to comprise of the serving IB employees only. It has its head office located in Blue Area Islamabad. It has a history of housing development by the name of IBECHS Phase 1 & later IBECHS Phase 2 which is also known as Pakistan Town located near PWD. 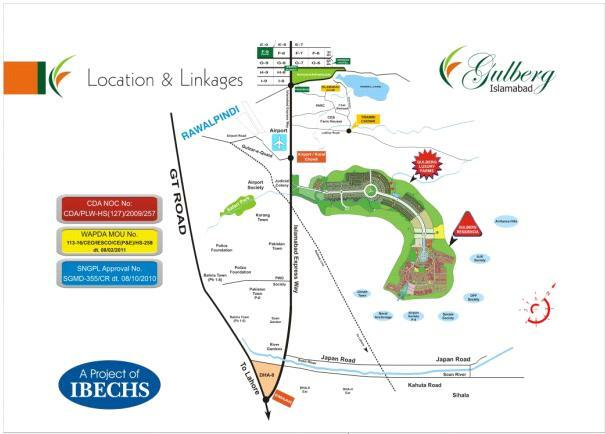 After the successful completion of earlier Phases, IBECHS launched its mega project by the name of Gulberg Islamabad in 2005, which is spread over thousands of Kanals of lush greenery of Islamabad. Gulberg Islamabad is ideally located on Main Islamabad Expressway at the intersection of Islamabad Zone iV and Zone V, with easy access to Islamabad and Rawalpindi. Location is the most attractive part of Gulberg as its distance from Benazir International Airport is about 3 KM and it is about 11 KM from Islamabad Club. Farm Houses are located just at the entrance from Islamabad Highway, whereas the residential plots are located at around 6 to 7 KM ahead after the Gulberg Greens ends, where it is connected to Gulberg Residencia through a bridge which is currently under construction. 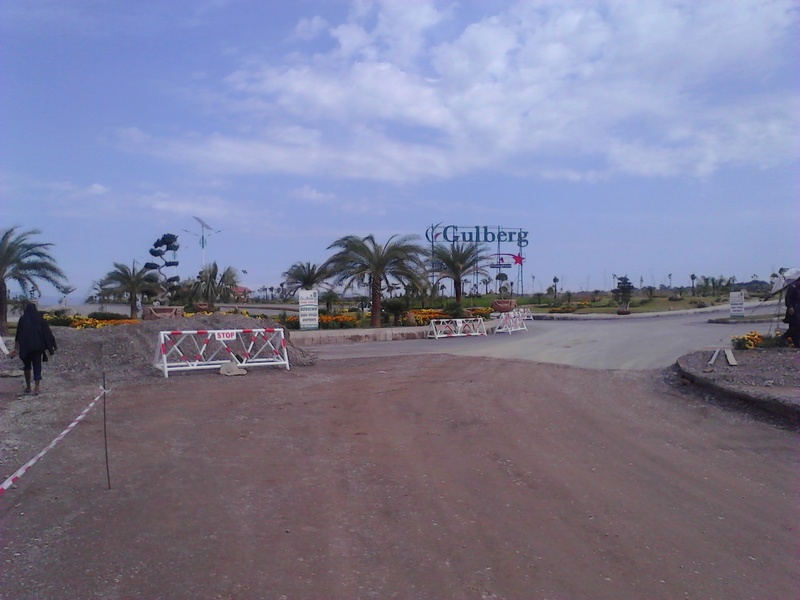 The master plan of Gulberg Islamabad consists of two different projects, i.e. Gulberg Greens (Agro Farm Housing Scheme) and Gulberg Residencia (consisting of 200 yards up to 1000 yards residential plots). 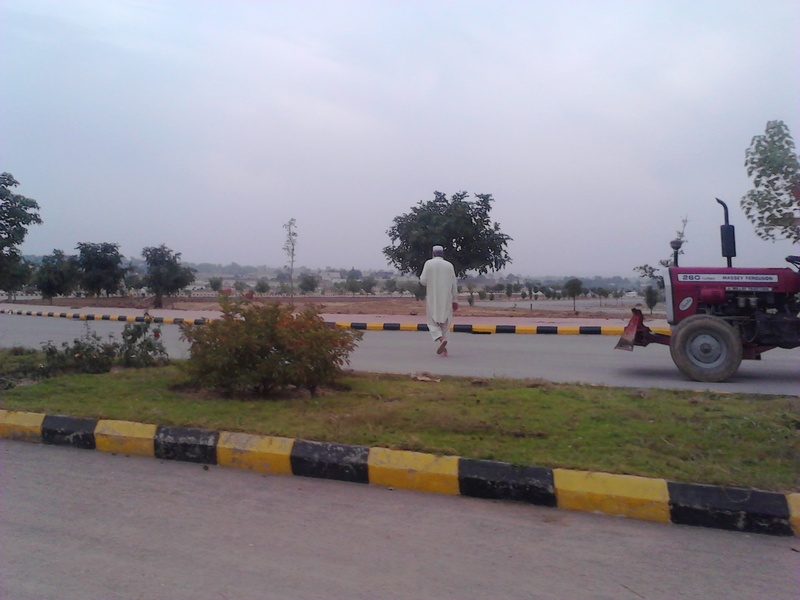 Gulberg Greens is the Agro Farm Housing Scheme located at Mouza Koral in Zone-IV of Islamabad on Main Expressway. Gulberg Greens is all about living in luxury of planned greens & wooded parks with innovative town planning where everything is located at walking distance. The area consists of thousands of Kanals of rich greens land. It is divided in 6 blocks, i.e. Executive,A,B,C,D and E blocks. Layout plan of Gulberg Greens was approved by CDA on 26-08-2011 and the NOC was issued on 28-05-2012. Gulberg has completed development of blocks A,B and C where possessions have been announced. Block D & E are currently under development where hundreds of labor & machinery are actively working towards speedy development of the project. A project of commercial plaza has also launched recently by the name of Gulberg Trade Center in block B of Gulberg Greens where booking of shops & apartments is going on. Commercial plots of 40×40 sizes are launched in B block, where a small commercial area is developed close to entrance to the right side after crossing first bridge. Prices of these commercials are very high, i.e. above 3.50 crore which is payable in 4 equal installments. However, the location is quite appealing and it can be one of the most expensive commercial area of this society in the years to come. Gulberg Residencia is located about 6 to 7 KM off the Islamabad Highway. A 220 ft wide Gulberg Expressway connects Gulberg Greens with Gulberg Residencia through a bridge that is under construction at present. The revised layout plan was approved by CDA in 2010 & NOC was issued in 2011. The project is spread over 15000 kanals of land comprising of 10,000 residential plots. The project is divided in 21 blocks from A to V, excluding U. D is the commercial block of Gulberg Residencia which is fully developed already while remaining 20 blocks are residential. Plots of different sizes are available ranging from 200 Sq.Yards, 272 Sq.Yards, 356 Sq.Yards, 500 Sq.Yards and 1000 Sq.Yards. Gulberg is all set to develop a new Blue Area along the Gulberg Expressway passing through A & B blocks of residencia leading towards Commercial D Block. The principal consultant firm responsible for the development of Gulberg Islamabad is Urban Planning & Design (PVT) Limited (UPDL) which is making head-on progress towards completion of the project before the estimated time-frame. UPDL is responsible for the town planning, engineering design and supervision of development work. Four Blocks have been given possession of plots so far, i.e. Block E, Block F, Block G and Block J. Block I is nearly developed too and close to possession. Parts of H, O, V, T, and L blocks are also developed now. Gulberg is developing land at various blocks including A & B simultaneously as you will find asphalt or paved streets and roads in many blocks. Block V is close to Naval Anchorage, and it is expected to have an access gate from Naval Anchorage as well as shown on its map. Commercial plots of Gulberg Residencia are not launched yet, so investors have this major investment opportunity to grab commercial plots as soon as these are launched at various locations of Gulberg with flexible payment plan. Second major attraction of Gulberg Islamabad is its prices. If you compare the standards of town planning and modern life style with a profound sense of security provided by IBECHS with any other society, Gulberg stands out as the right investment choice for you as its prices are as low as 30 lacs per Kanal in Residencia & 50 lacs per Kanal in Greens. There are various payment plans available as booking prices were revised multiple times. Initially plots were allotted to IB Employees, and later on the project was open to General Public on easy and flexible installment plan. Star Marketing is the primary marketing consultant of Gulberg Islamabad which has used innovative marketing techniques in order to attract inland and overseas investors. Gulberg offers unique world class amenities which include wide roads lit by Solar Energy, Knowledge Village, Lakes, Bridges, Underground electric, gas and water connections, Sewerage Treatment Plants, Water Filtration Plants, Sports Complex, Amusement Parks, Restaurants, Hotel, Cinepax, New Blue Area, Mosques, Transport Terminal, Petrol Pumps, CNG Stations, Fire Station, Hospital, Pharmacies, Telephone Exchange, Auditorium, Community Center, Gymnasium, Public Library, Schools and Colleges. Following are the remarkable features of Gulberg Housing Scheme that stand out from the rest. Underground Water Supply Network Tube Wells, underground & Overhead Water Storage Facilities. Arboriculture and Horticulture planning of Roads Medians, Walkways, Road Shoulders, along water bodies. Soft & hard Landscaping Parks,Roundabouts, Passive and Active Recreational Sites.